This week, the folks at the Cave of Solitude are still coming at you with some sweet footage from Fan Expo 2016. For episode 53, we sneak in to the final panel of Fan Expo, and get our ears treated to the two most iconic voices in comic book animation of all time. We all have our opinions on the various actor’s who have portrayed and voiced “the Dark Knight” and “Clown Prince of Crime”, but it is safe to definitively say, Kevin Conroy and Mark Hamill are THE voices we hear in our heads when we think of Batman and the Joker. 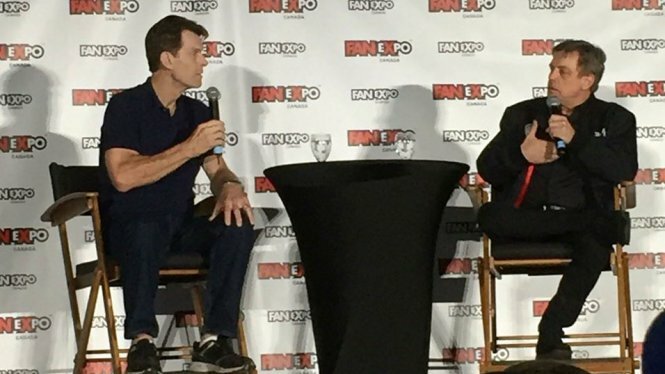 So sit back and enjoy this historic panel featuring the legendary “Batman the Animated Series”actor’s, Kevin Conroy and Mark Hamill.